I confess I have never been wild about the World Travel Market – its central hall was the site of my personal “Road to Damascus” several years ago when I experienced the full extent to which tourism has become an industrial production and consumption machine. I admit to being overwhelmed by the sheer scale, busyness and sterility of the event where products are pushed and deals done; brochures and media stuffed into plastic bags then discarded; and sustainable clichés fall like feathers from the upper galleries onto the hard selling activity in cubicles on the shop floor. Walking the central hall this year I felt a visceral inner and outer tussle between despair and hope. 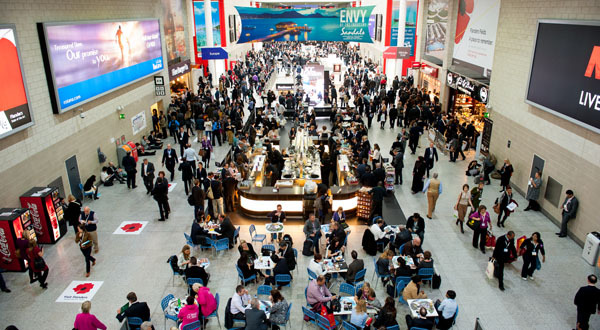 There’s a simple explanation for the topic and attendance bias I suppose – the vast majority of people paid to attend WTM are engaged in marketing and sales. It is a market after all. But that explanation points to an issue that was hardly mentioned– and that’s the G-word: Growth. Tourism succeeds when it grows because we have defined success as more. Because growth is the goal, we allocate resources to the people, technology and processes that produce growth and measure our progress towards sustaining it. And that leads me back to despair – because until we describe our predicament accurately and delve deeply into the root cause of the challenges we face, as an industry and as humanity, we’ll waste time and scarce resources tinkering at the edges. Our well intended “busyness” will keep thousands employed, produce endless conference fodder, and generate hundreds of checklists, certification bodies, “new” green initiatives, declarations and reports but won’t actually move us off the road to catastrophe. The deeper problem is that more has become the end and not the means. Somewhere in the last 60 years, while we’ve been so busy expanding, we’ve made it the responsibility of commerce to grow but not necessarily improve the lives of the community in which it takes place. GDP is used to measure growth in activity not welfare. We’ve become so used to growing and to the benefits that we believe it brings, that we’re literally hooked. We certainly behave like addicts. We seem to need more of it to feel its benefits. We complain and suffer when growth slows or stops. We associate a life without it as being uncomfortable at best and possibly life threatening at worse and we can also be blind to the hurt we cause ourselves and others. As is also the case with addiction, the object of our craving is now causing more harm than good and producing a number of side effects that threaten our collective welfare. Many of these side effects – the pressure on biodiversity, the mistreatment of animals held captive; growth in human trafficking, and social inequity — were rightly included as responsible tourism topics at WTM. But climate change, universally recognized as one the biggest threats to human life and prosperity, was not officially assigned any airtime this year despite the urgency now communicated by 97%+ of scientists (see Guardian summary). Climate change was not named as a topic in any of the seminar sessions. Yet climate change is surely a major and critically important symptom of an organ (in this case, our life supporting ecosphere), adjusting to the effects of an addiction afflicting its dominant species. Addicts, we know, spend increasing amounts of time as their disease progresses, denying and concealing their dependence. The absence of sessions at WTM in which neither climate change nor the negative impacts of growth were officially discussed, and the complete absence of their mention in the brochure used to launch the “New” 10YFP Programme on Sustainable Tourism all signal avoidance behaviours classically used by addicts not yet ready for rehabilitation. Forgive me if the thought of sterilized needles and methadone replacement comes to mind. So What’s Wrong with Growth? Over the course of time, we in tourism have assumed that more of an entity or state is better than equal or less over time. Look at any tourism strategy from the smallest of Convention and Visitor Bureaus, National Tourist Boards or even the UNWTO and you will see that the goal is to grow tourism by a percentage increase over its performance the previous year. Performance is measured in the trips, people, and their spending at the host destination. In short, size matters and the shared meaning of growth is MORE. Well, there wasn’t much wrong with that at all when we started out some 60 years ago deploying mass transport to enable working men and women and their families have a holiday, visit parts of their country or venture to foreign lands. The tourism “industry” sen sibly applied what had proved to be a very proficient method of making and selling things – an industrial system of production and consumption and, as a consequence, during the span of one human lifetime, tourism became a global economic sector of enormous importance contributing 10% of GDP and keeping over 250 million people in a job. Since World War 2, tourism has brought benefits to virtually every country; lifted people out of poverty through accessible employment; created an untold number of entrepreneurial opportunities; enabled millions to enjoy face-to-face encounters with people of very different cultures; help fill public treasuries with useful tax dollars that were applied to education, health care and other social services; supported the development of important infrastructure and provided billions of dollars in foreign exchange and investment capital. Phew! Surely that’s an accomplishment to be proud of? Yes, it is. But it’s not the complete or honest story. It ignores the inefficiencies and inequities built into the industrial system that only become apparent over time. So duplicating that rate of growth going forward may not bring more “good” with it. There are reasons why continuing to grow bigger is neither desirable nor at all likely. Let’s tackle the issue of likelihood first. It will be difficult to sustain such growth forever because the operating model on which it was based was designed in and for a different world. The conditions that ensured its success are fast disappearing. The model flourished when energy was cheaply available from abundant, accessible sources of fossil fuel; when there were literally hundreds of new, virtually empty and exotic places to explore and cultures to get to know; when host communities needed cash and investment to play in a global cash economy; when there were vast quantities of resources, capital and know-how to deploy with limited debt to be paid; and when huge numbers of people were determined to put two decades of war behind them and improve their material well-being. Tourism generates wastes and uses resources at a rate that can be accommodated in its early stage of development but not sustained after it has reached a certain scale and pace of growth. Mitigating the negative effects of climate change (most of which will hurt tourism) now requires that all economies drastically reduce their production of CO2 to zero by 2050. That is because the atmosphere can only absorb a finite amount of CO2 IF we wish to keep average temperatures at a level in which human society can flourish (see previous posts on subject here and here). With a human population expected to increase by a further 2.5 billion between now and 2050, tourism will also face increasing competition for land, water and food in areas where – thanks to the effects of climate change – public funds may be unable to cope with the basic needs of resident populations. 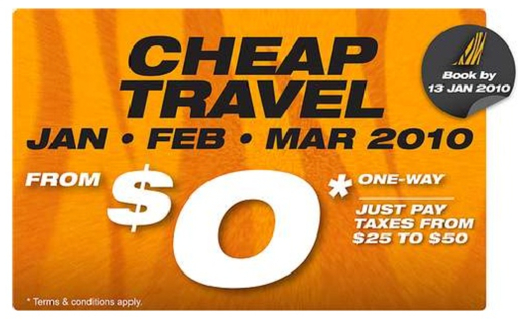 According to UNEP (3), mass tourism leaves an average of 5 cents in the host country for every $1 spent by visitors. As the costs of mitigation and adaptation to climate change and the demands of a burgeoning visitor population rise, where will these hosts find the resources to supply adequate waste management, security, health and transportation services in addition to meeting the needs of their own growing population? Mass tourism has a tendency to produce diminishing returns to investors and host communities over time. Tourism demand is highly volatile, seasonal and beyond the control of host destinations. When demand ebbs there is a tendency to discount and that response, combined with a lack of control over capacity, leads to a general fall in income per transaction. Price discounting necessitates either rigorous cost cutting or vertical and horizontal integration which can exacerbate a tendency for service levels and customer satisfaction to also decline. First, we re-define “growth” as better and second, we grow up! Let’s shift our focus to a more inspiring end goal – enabling all stakeholders and especially the communities that welcome guests to flourish; in other words express and exude health and vitality; be resilient; open to change and qualitative development. In short thrive and prosper and become all they can be. natural (is life enhancing and in harmony with the natural rhythms of life). futureless growth, where the present generation squanders resources needed by future generations. Note though: The challenge when discussing tourism from a global perspective is that it ignores the enormous variability in circumstances between destinations. Volume growth may be needed in many destinations where there is over capacity brought about by a “build it and they will come” approach. Conscious Travel is not only about generating higher yields but empowering hosts communities to make informed decisions about how much, what kind, where and when. In some instances, more visitors are needed to ensure vitality and resilience. Growing from an adolescent to an adult requires understanding that the world doesn’t revolve around you personally; that you are a member of a community on which you depend and to which you are obliged. It’s a reciprocal relationship of respect and caring. It also recognizes that there are limits. You neither can nor wish to keep growing bigger. You expect to change as you pass into adulthood – both physically and emotionally. You look forward to exploring how you can express your uniqueness within the constraints set by your culture and environment. While sometimes you’ll kick against those constraints and may even succeed in redefining them; other times, you’ll see that they are useful and stimulate more creativity and innovation. You stop growing bigger when you grow into adulthood – you mature; you start to want to express yourself; to become more, to stretch – but qualitatively not quantitatively. You want to contribute to a larger whole. You want to be the best you can be. You strive to go where no man has gone before. That yearning diminishes much more slowly than your body ages – take that from me!! And this process is totally natural! In nature, nothing grows forever except perhaps the universe itself, (it’s been expanding outwards at a phenomenal rate for 13.7 billion years). There are no straight lines in nature. What looks like a straight line in nature is simply a part of a fractal curve that appears throughout life itself. 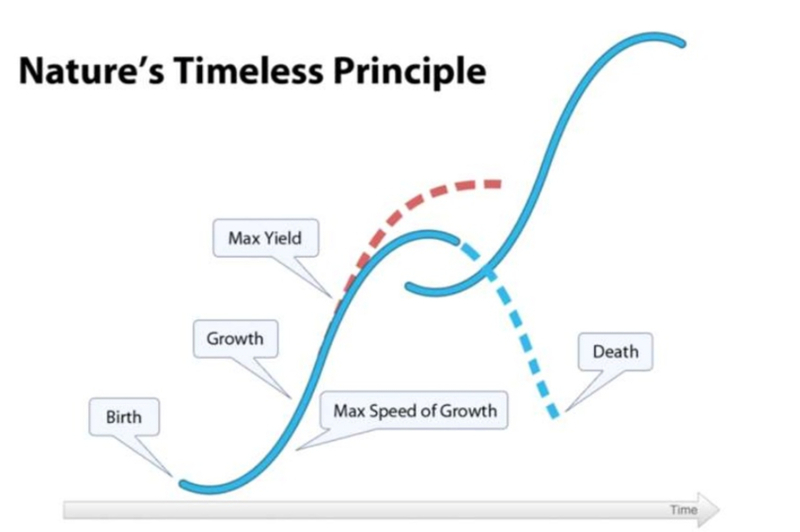 It has what sounds like a mysterious name – it’s called a Sigmoid curve. But Sigmoid is just Greek for the letter S and the curve describes the letter lying on its back and illustrates a natural cycle that pervades all life. Thanks to Dr. Butler, the tourism community is familiar with the Sigmoid Curve even though they aren’t recognized as such. Dr Butler introduced the most enduring model of tourism destination development but, while he correctly named it as the Tourism Area Life Cycle Model (TALC), he based it on a concept derived from the industrial model of production and consumption – the life cycle of products. It’s an indication of the author’s modesty, that Dr. Butler is surprised by its popularity, potency and durability (4). The TALC model is applicable not just to individual resorts – each of which sits at its own unique point on the curve – but to mass industrial tourism as a whole. 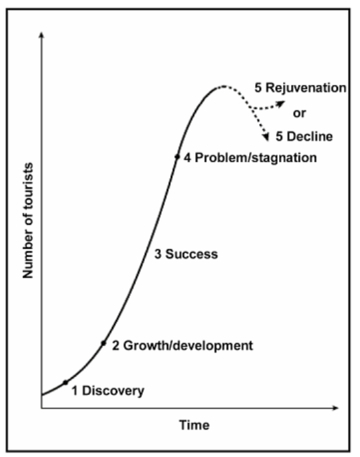 If you define success as volume – as opposed to net benefit – you’ll place mass tourism between stages 3 and 4 on the TALC curve. But if measured in terms of its net benefit then we’re most definitely at or approaching stage 4. We don’t need to tear down the old model. The alternative model is emerging all around us. Both need to co-exist while the alternative grows in strength and complexity. Several pioneers of a new, less harmful, more beneficial model were acknowledged and applauded by receiving Responsible Tourism Awards at WTM and many others attended and contributed to the sessions that accompanied the trading on the exhibit floor. 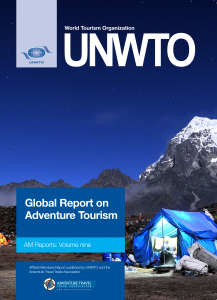 At the WTM, the UNWTO and Adventure Travel Trade Association (ATTA) launched their jointly produced Global Report on Adventure Tourism in which ATTA revealed from its Industry Snapshot 2014 that an estimated 65.6% of the total trip cost of an adventure package remains in the destination(s) visited – a vast improvement on the 5% estimated by UNEP for mass tourism. Proof that there is huge potential to improve the net benefit to host destinations. We don’t need any more divisions; no more “them” and “us”. Those of us who have been working in all aspects of the new, whether it be in sustainable, responsible, geo, fairtrade, or social tourism; whether our focus is on environment or social issues; or whether we’ve been involved for years or minutes, need now to join hands. Some can focus on building inspiring working prototypes of the new. Others can build bridges with the keepers of the old until it makes sense for them to move. What we do need is coherent thinking as a “we” tied together by a common vision for humanity that can thrive and flourish on a living planet. What we do need is to understand nature’s timeless principles to recognise when it’s time for transformation, maturation, evolution (5). We also need courage to undertake a fearless inventory and speak the truth. It was Chris Doyle’s article for the WTM that persuaded me to attend and I was honoured to join him in the two lively and provocative sessions organized by the Adventure Travel Trade Association (ATTA). This is the most exciting time to be alive. It’s the very first time in human history when individual humans have the capacity to be aware that their personal choices do matter in the evolutionary trajectory of a species, no less! No wonder we’re being called to stop growing in size but in wisdom, insight, maturity and compassion. Because tourism plays such a direct role in connecting people to each other in places where they can experience the power and beauty of nature and discover their true identity, we must step up into a much grander sense of purpose. More of us must engage in the task of building a better model – shifting from one S curve to another. It all makes that brightly lit central hallway in a box called Excel seem rather unappealing, don’t you think? There’s a mysterious and amazingly beautiful world of living beings out there in the sunshine by the river – let’s join them there and flourish. (5) See Giles Hutchins: Transformational Times Call For Transformational Minds. Personal Note: This post is the first in a series of reflections about how tourism can flourish in a post carbon, post growth society. The “book,” which so many of my dear supporters have said I must write, is finally in the making. It will be so much better if you add your comments to these blogs, share and encourage others. No individual, no enterprise, no community can go it alone. The stakes are too high. When will tourism industry start talking sensibly about tourism growth? Author Jeremy Smith, founder Travindy. Another call for this discussion to take place. One year later in 2015, resistance to contemplating another model i.e. one that does not deed on volume growth acme very evident.